Our promise to you is to provide you with the highest standard of care with personal integrity and honesty by offering the appropriate treatment at the best time. 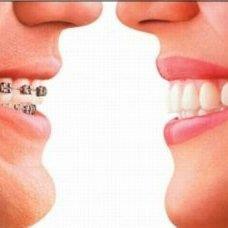 We understand that choosing an orthodontist can be an arduous process. At BRIO, Dr. John Kim is dedicated to listening to your needs. We believe "having braces" is a journey. Let us make it fun and memorable for you! Personalized consultation. Contact us for a complimentary orthodontic evaluation -Appointment Request. Dr. John Kim will personally address all your concerns and answer your questions, so you can confidently make an informed decision on your orthodontic needs. Get to know us. We'd love to get to know you. Providing services such as Lingual (Behind Teeth) Braces, Invisalign, Invisalign-Teen, conventional Braces, Cosmetic Braces, Damon, WildSmiles Braces® to the people of Yorba Linda, Placentia, Brea, Anaheim Hills, Anaheim, Orange, Tustin, Villa Park, Fullerton, Irvine, Chino Hills, Chino, Walnut, Diamond Bar, La Mirada, Orange County. Yorba Linda Orthodontist, Dr. John Kim is dedicated to Orthodontics offering services such as braces, Invisalign and more. We are looking forward to your visit to our Yorba, Linda BRIO orthodontic office.